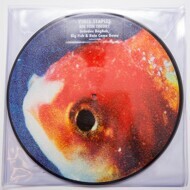 “Big Fish Theory” is the second studio album by American rapper Vince Staples. Musically leaning toward electronic club music genres such as house and Detroit techno, it features production work from Zack Sekoff, Sophie, Ray Brady, Jimmy Edgar, GTA, Justin Vernon and Flume, among others; as well as vocal contributions from a variety of artists including Kilo Kish, Kendrick Lamar, Juicy J, Ty Dolla Sign, Damon Albarn, Ray J and ASAP Rocky. “Big Fish Theory” received widespread acclaim from critics, and debuted at number 16 on the US Billboard 200.